Toastmasters International is a world leader in communication and leadership development. 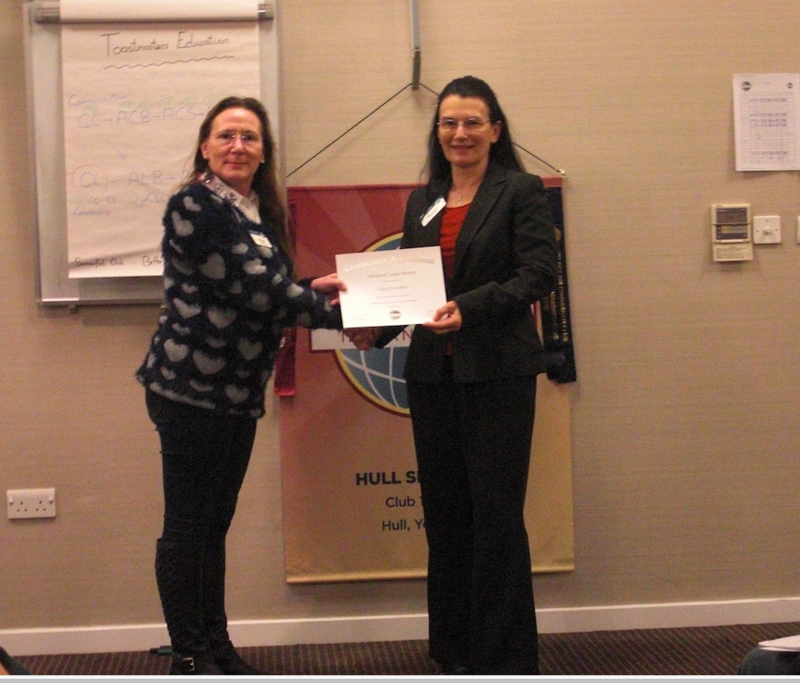 We are the branch for the Hull area of Toastmasters International. It’s global! Toastmasters International operates in 142 countries has 345,000 members. If you join a club and then move – your membership carries on to wherever you live. Hull Speakers meets twice every month at the Holiday Inn Express (Ferensway, Hull) between 7pm-9.30 pm. 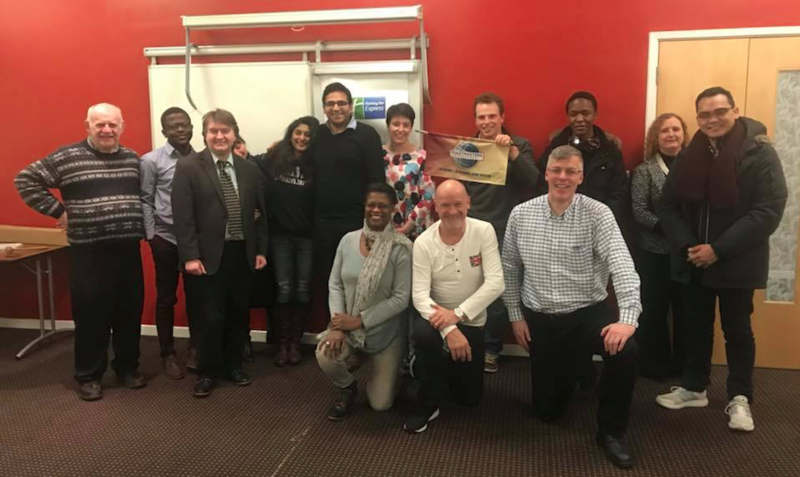 We are a club and we help our members develop their confidence, style and ability in public speaking – but we also help with wider communication and leadership skills too. 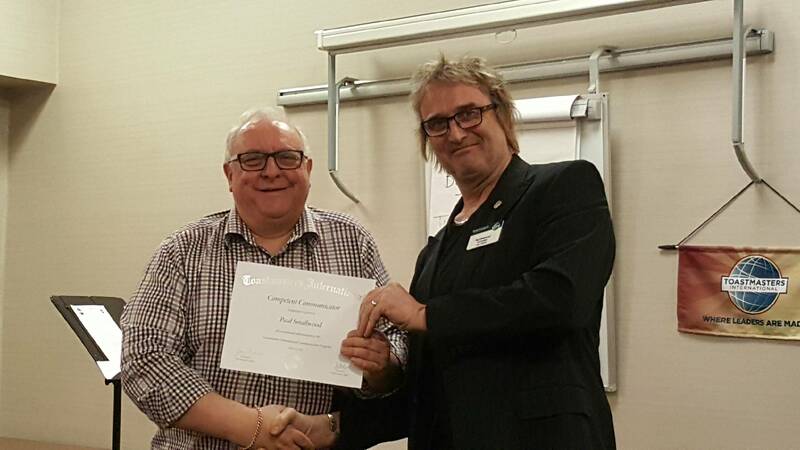 Many of our members tend to be self employed, students or people who would like to develop public speaking skills – they are always in demand. We also have people who are employees within larger companies and they choose to prepare themselves for those moments when they need to speak to groups, customers or simply effectively chair meetings. If you dread public speaking but think you can’t avoid it, whether before the public or at work, Hull Speakers is the place for you. You’ll move away from that nervousness. If you are confident then you’ll learn how to utilise that confidence. Meeting twice a month – you continuously learn new things and have the chance to apply them in front of an audience. Public speaking courses are great and there are some very skilled coaches. 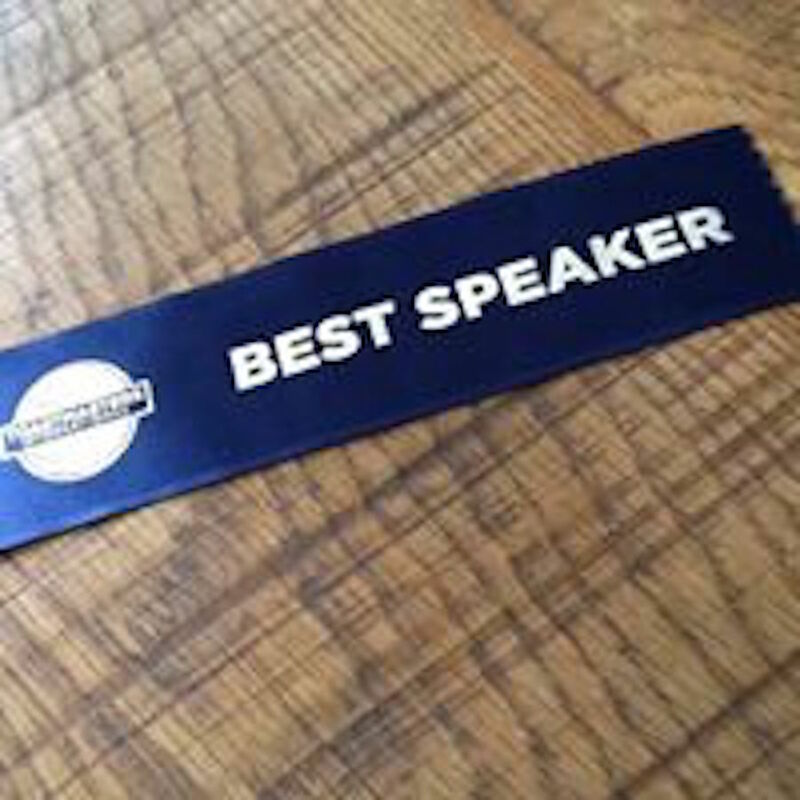 The difference with Hull Speakers is that, after a course, you may need to deliver a speech 6 months later – you may feel rusty. At Hull Speakers you continue to build new skills – and practice them at every meeting. No chance of rusty skills there! You will be encouraged to get involved early on. After all, how can you master a skill if you just sit and watch without applying it? During a meeting, there are many opportunities for you to speak. Some people may deliver formal speeches about 5-7 minutes long. Don’t worry! That won’t be your first meeting because people book a speaking slot. But it has been known that people attend their first meeting and ask for a formal speaking slot for the second! But only if you would like to do so; there is never any pressure. People work through a number of manuals issued by Toastmasters International. These manuals go through a solid grounding in the basics right through to techniques for specialist and advanced speakers. In the early stages, which develops a strong competence, one speech may emphasise speech structure. Another, use of body language. Another, speaking tone. Another, the use of words and rhetorical devices to have an impact. Each speech will let you build on what you have learned. Initially, you will move through ten speeches to give you this solid grounding. At your first meeting, you may just want to sit back and watch. That’s fine. You’ll never be under pressure. But you’ll probably feel the urge as you see others getting up. Structured Speeches are ok. What about being dropped in it? We do that too. Only if you would like to take part. What is amazing, even for people who tell us that they arrived nervous, is they often surprise themselves and want to get up and speak on a subject they know nothing about for up to two minutes! We call this Table Topics. You may think that is not you…so did they! Here’s what happens. When you get to Hull Speakers you will find that there are a range of speakers. Some are very experienced. Others are complete beginners. Many are somewhere in between. However, you soon realise that everyone in the room attends with a particular mindset. We aren’t their to judge – but to help all members find their strengths, and become aware of things that detract from this, so you get better and better. Stand up and speak and you’ll be encouraged and you’ll feel elated. Stand up and dry up? No problem. People do. But this is a safe place to try out new things. The other members will help you by sharing techniques. We give feedback. You may find that you have a very rhythmic way of speaking that you didn’t appreciate. You’ll get feedback. You may find that you shuffle around. You’ll get told about that too! Once you are aware, you start to correct the things that detract from your speech and build on the things that add to it – all with constructive feedback from other speakers. They’ll look for feedback from you about them too. So, as an audience member, your view on what held your interest and what distracted you is as important as that of everyone else. Most people have some limitation. Some people may be terribly nervous. Most members lose this quite early on as they learn techniques. Even if nerves remain with you – you’ll learn how to control them and at least come over as a good speaker – even if you have nerves inside. We have members with stammers, members with hearing difficulties and more. Hull Speakers helps them learn the techniques that help you to engage with the audience and find the most effective ways to communicate. Simply put, we work as a team to help each other and observe what works best for you. You may not become Dr Martin Luther King, although some members of Toastmasters International do travel the globe as public speakers. But you will notice, even if you are a good speaker already, a marked improvement that will leave you comfortable in public speaking situations – whether planned or unplanned. Come to a meeting and see.